Here’s everything you wanted to know about the new Kobo Aura H20 Edition 2. 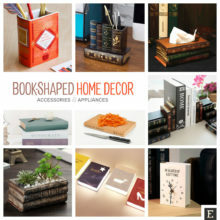 Product details, comparisons with other waterproof e-readers, full tech specs, and lots of pictures. Kobo Aura H2O Edition 2 is the successor of the company’s original waterproof e-reader launched in September 2014. The 2017 Kobo Aura H20 features the 6.8-inch Carta E-ink HD touchscreen with ComfortLight Pro blue light control, 1430 × 1080 resolution, and 265 ppi pixel density. The device meets IPX8 water-resistance rating, and it means you can put it in 2 meters of water for under an hour. The device is more resistant to water than the first-generation Aura H2O or Nook GlowLight Plus. There is no slot for a micro SD card, but the question is whether you need it at all. 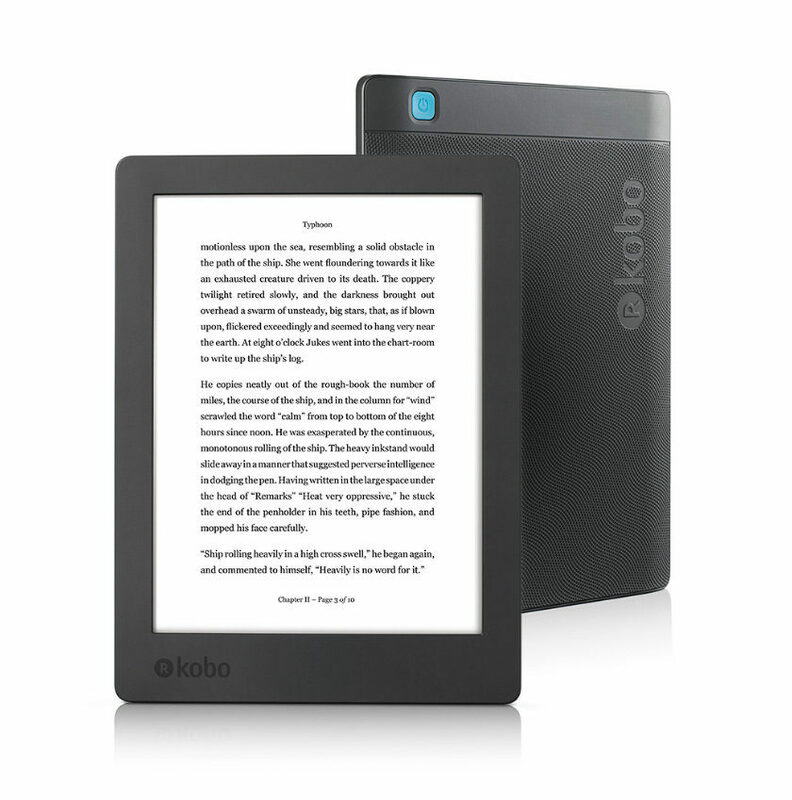 Kobo Aura H2O Edition 2 has 8 GB of internal storage. 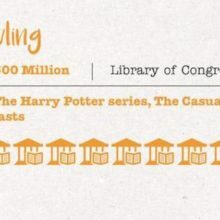 It should be sufficient to store up to 6,000 ebook files. The new device costs $179.99. 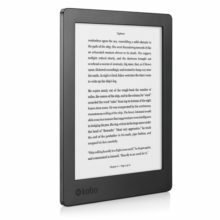 The price is the same as the previous Kobo Aura H2O, $50 lower than Kobo Aura One, and $50 higher than Nook GlowLight Plus. Keep reading. 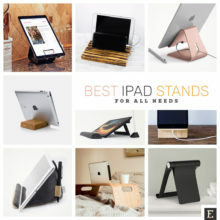 All the details are listed below, including product description, launch details, geographical availability, high-resolution pictures, and comparisons to other waterproof e-readers. 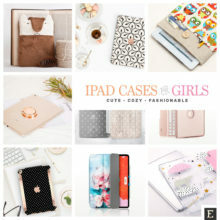 An updated list of the best Kobo case covers, sleeves, and accessories. Kobo Aura One, Aura Edition 2, Aura H2O, Mini, Glo HD, Touch 2.0. The new waterproof Aura H2O e-reader was announced by Kobo on May 2, 2017. The company revealed the device would be available for pre-order from May 15. 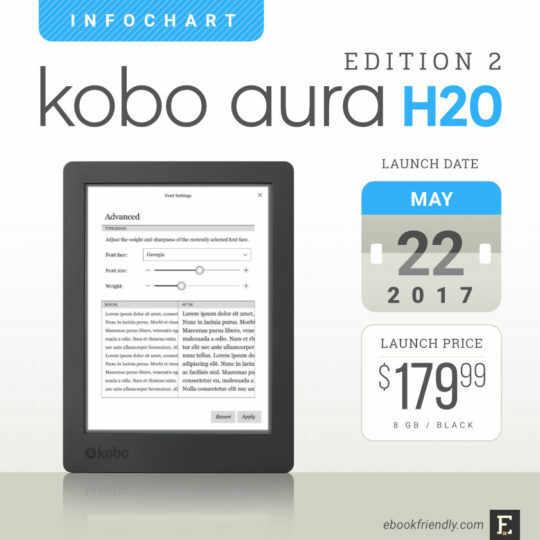 Since May 22, 2017 – the official release date – Kobo Aura H2O Edition 2 can be bought in ten countries: the United States, the United Kingdom, Italy, France, Spain, the Netherlands, Belgium, Switzerland, Turkey, and Japan. 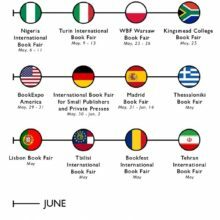 The e-reader will be launched in six more countries by the end of the year (see table below for details). The price of the Kobo Aura H2O Edition 2 in the US is set at $179.99. It’s the same as the price of the first-generation model and $50 less than Aura One. The price is Canada is $199.99 CAD. You can order Kobo Aura H2O Edition 2 online, in Kobo webstore. The item will be shipped for free. 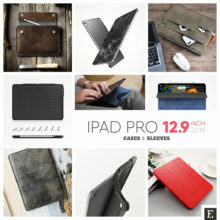 On May 22, the delivery time of the ordered device is between 7 and 12 business days. 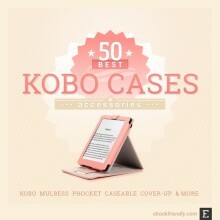 Kobo has also released the original cover designed to fit the new device. Kobo Aura H2O Edition 2 SleepCover costs $39.99 (the usual price for Kobo cases). There are two colors to choose: Black, and a very refreshing Blue. Amazon still doesn’t have the waterproof e-reader (it may change this year). Therefore, we’ll compare the new Aura H2O to the Kobo Aura One and Nook GlowLight Plus. 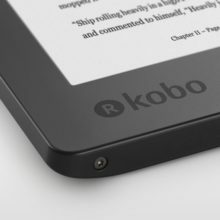 The Nook is a reference rather than the real option to consider, as Kobo users will most probably decide between two waterproof Kobo devices. Kobo Aura H2O Edition 2 has similar dimensions, and the same screen as the previous-generation model. However, extending storage to 8 GB, getting IPX8 water resistance rating, adding ComfortLight Pro, and redesigning the model, makes it a smaller alternative to Kobo Aura One. 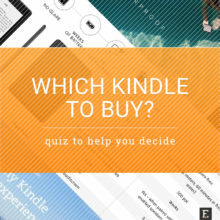 Aura One is considered by many users and reviewers the best device Kobo ever made. And Kobo Aura H2O is very much like Aura One, but has a smaller screen (6.8″ vs. 7.8″) with a lower density (265 ppi vs. 300 ppi). When it comes to water resistance, both devices are rated IPX8. They are waterproof even when you put them into water 2 meters below the surface and keep there for up to an hour. The waterproof level is twice better than IP67 in the first-generation Kobo Aura H2O or Nook GlowLight Plus. Both Aura One and Aura H2O Edition 2 offer the blue light control called ComfortLight Pro. 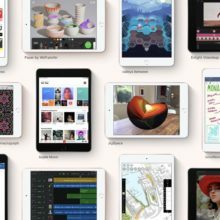 The feature is similar to Night Shift in the iPhone and iPad, but the developers have found a way to apply it to the e-ink screen. ComfortLight Pro optimizes the exposure of the blue light emitted by LED lights around the screen. Thanks to that, the screen automatically gets warmer when the sun goes down so that you can read in the evening and during the night without affecting your sleep. As you see, the difference between Kobo Aura H2O 2017 and Kobo Aura One goes down to one single factor – the size of the screen. You’ll have to decide whether you want to pay $50 for a pleasure to read more comfortably on a 7.8-inch screen. All major tech specs of the three waterproof e-readers are included in the comparison table below. Want to see more details of the new waterproof Kobo Aura H2O? Take a closer look at the official images. Here are the full technical specifications of the 2017 Kobo Aura H2O. Below, you’ll find details of the official product description of the new Kobo Aura H2O that you can find on Kobo’s website. Sink into a good read in the bath or by the pool without worry. 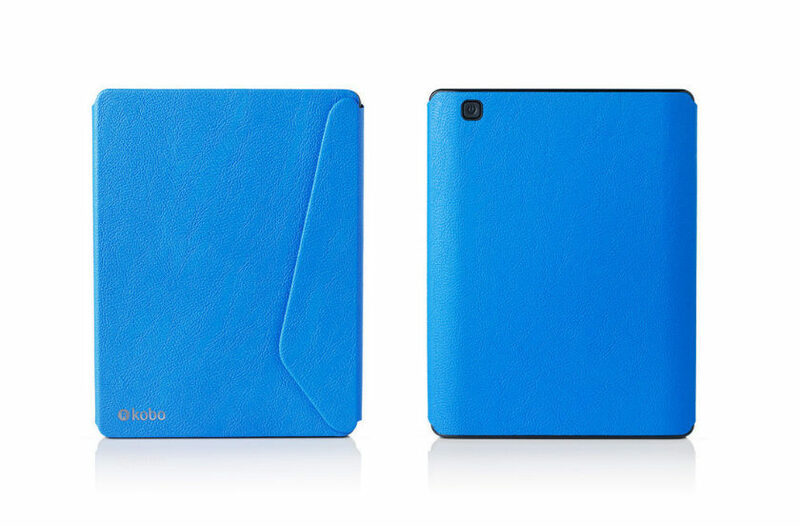 Kobo Aura H2O has HZO Protection, making it waterproof from the inside out and ready to go places other devices can’t. So relax, fill the tub, or hit the beach and start reading. No two book lovers are alike. 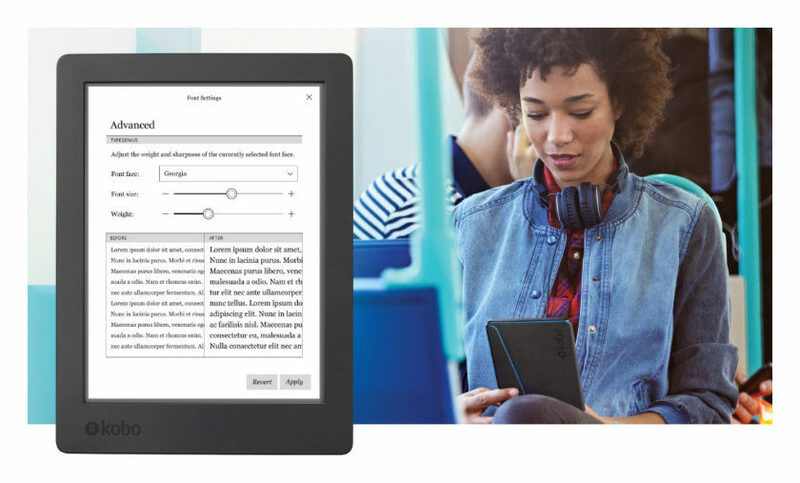 Create your perfect reading experience with Kobo Aura H2O. The TypeGenius feature has weight and sharpness settings exclusive to Kobo and lets you choose from over 50 font sizes and 11 font types. 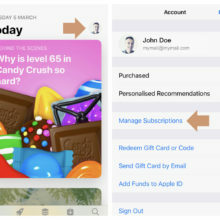 Plus, adjust margins, highlight passages, write notes, or look up a word in the built-in dictionary – all with the tap of a finger. Read the way you want with Kobo Aura H2O. The Kobo eBookstore gives you access to over 5 million titles, so a new favorite is always at your fingertips. Get personalized recommendations based on your reading habits and earn Kobo Super Points on every purchase. 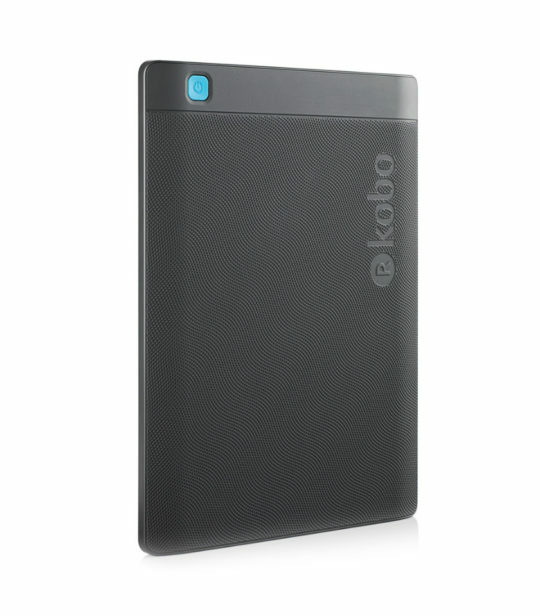 With 8GB of storage space, your Kobo Aura H2O can carry twice as many eBooks as other eReaders. And with just one charge, it gets weeks of battery life, not hours, so you never need to stop doing what you love – reading.